Many doors have opened for us. We have shows all over India,” says Kshitish Date, 25, a Pune-based theatre actor and director, who won one of the most prestigious theatre awards in the country, Mahindra Excellence in Theatre Awards (META), earlier this year. His play, Item, will show at the Old World Theatre Festival on October 27. Date was finishing his MA in visual communication at Pune University and “wanted to do a play desperately, not act but direct”. A friend, Siddhesh Purkar, read him a script about a woman at the centre of B-Grade Hindi cinema. “Not being a writer, I could not articulate that this was the story that I wanted to do,” says Date. Working closely with the worlds of advertising and films, he had been analysing the role of women in selling ideas and products. “I saw that, when a product is such that there is no content to show, the only thing you can come up with is a conventionally beautiful woman. After that, whatever content you show, it will sell,” he says, “One of the most critical questions for our generation is about patriarchy and gender politics,” says Date. Item revolves around Sapna Shetty (Dipti Kachare), an actress of B-Grade Hindi films, whose story is recounted by L Rakesh, originally a light man and, now, her assistant. Rakesh (played by Sainath Ganuwad, who won the META Best Actor for this role), sees the play as an opportunity to vent his emotions now that he has a captive audience. Another important character in the play is the bed. “All stories and men and women rotate around it. There is a bed, that is why B-Grade films exist,” says Date. 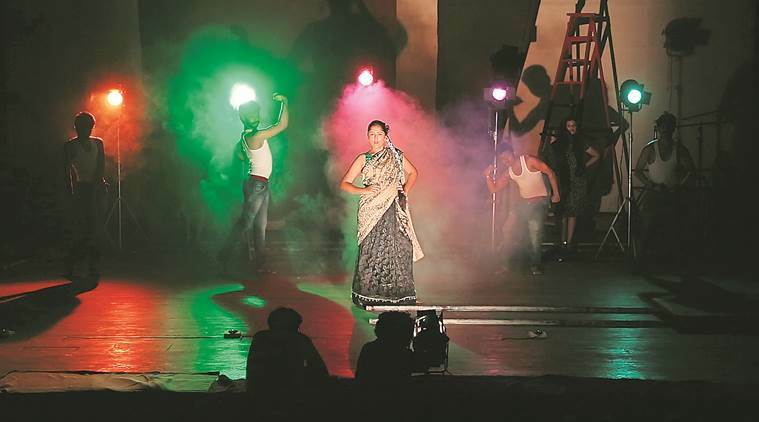 He has been associated with several groups in Pune, but Item was his first with the 10-year-old Natak Company. Earlier, he had directed a two-act play, titled Manaswini Murder Case, and a children’s production, Bell. At present, he and Item writer, Siddhesh Purkar, are working on another play.